And FreightWaves reports the truck was designed with a fierce eastern Canadian winter in mind. We’ve put in a heating and cooling system for the batteries to make sure you lose no more than 10% in winter,” Gervais said. The promotional photo accompanying the story shows a Lion8 sporting the logo of the Société des alcools du Québec, the provincial liquor commission. The SAQ expects to take delivery of its first Lion8 in September, at an estimated cost of C$300,000 to $400,000. 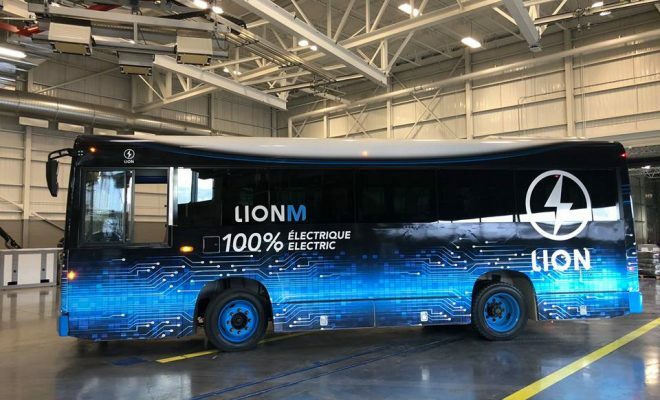 Lion Electric already produces a line of electric buses for customers in Canada and the United States, has capacity for 1,000 vehicles per year, and has been testing new truck models with bulk shippers Freightliner and Penske, FreightWaves states. “Ours is not a pilot program,” Gervais said.